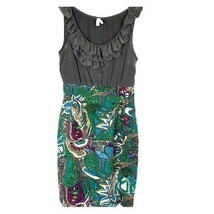 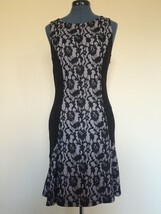 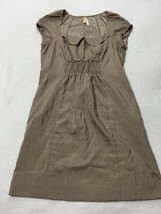 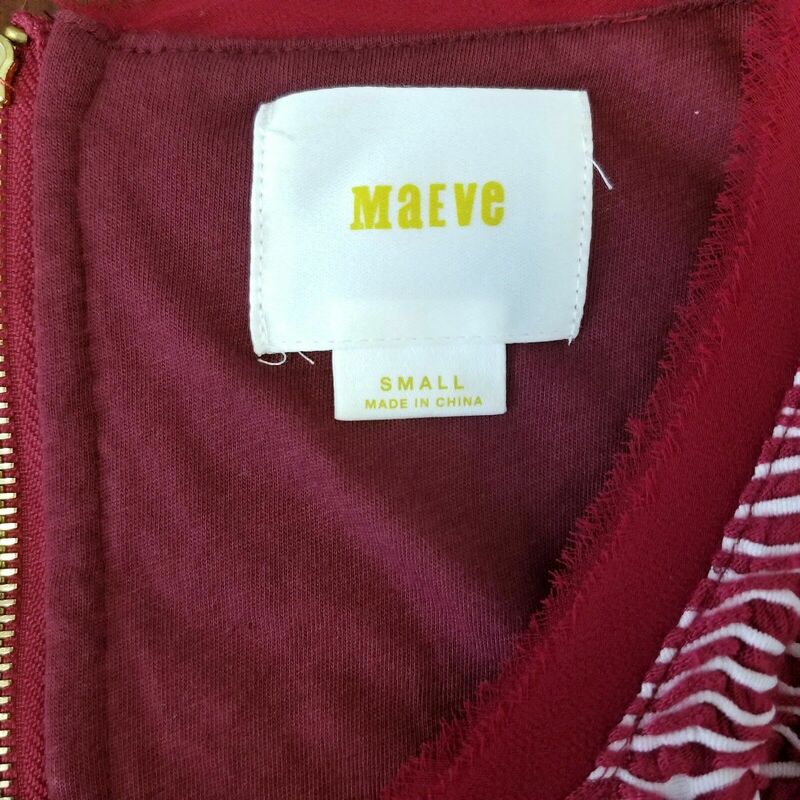 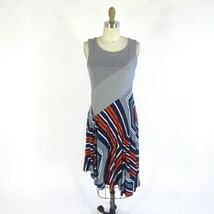 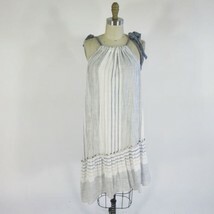 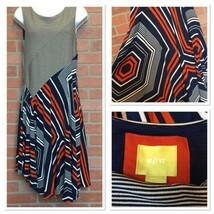 Maeve, sold at Anthropologie brand fit and flare dress. 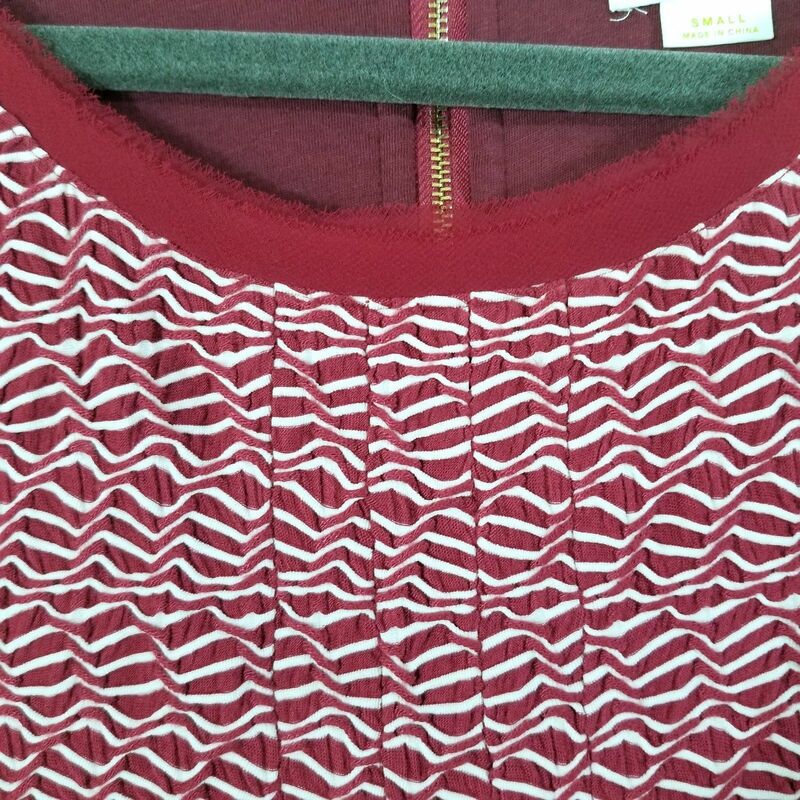 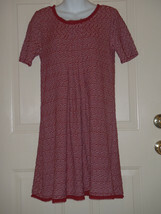 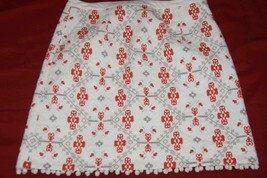 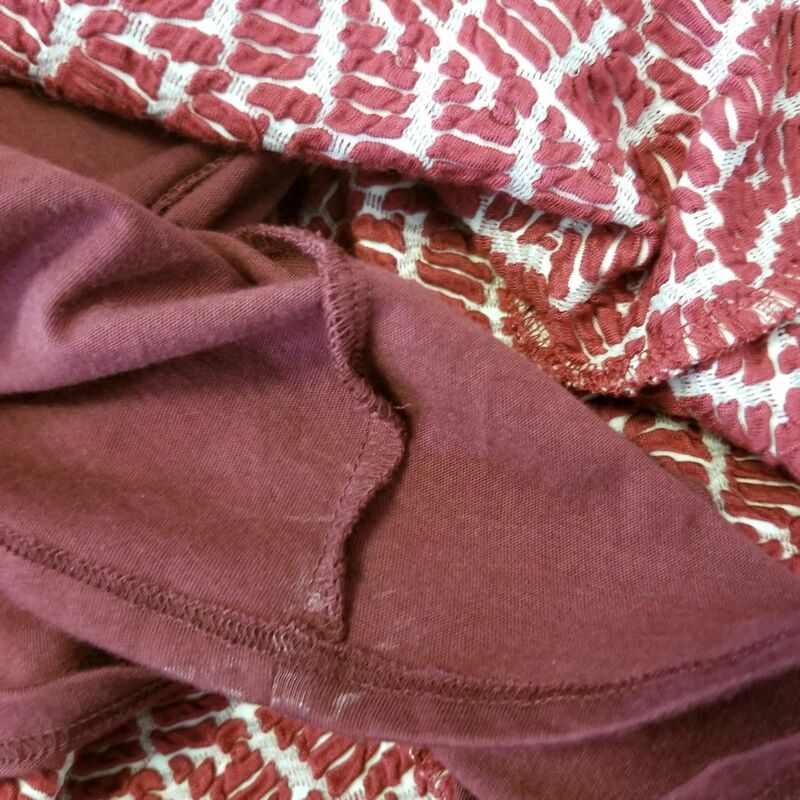 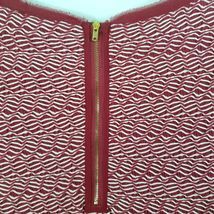 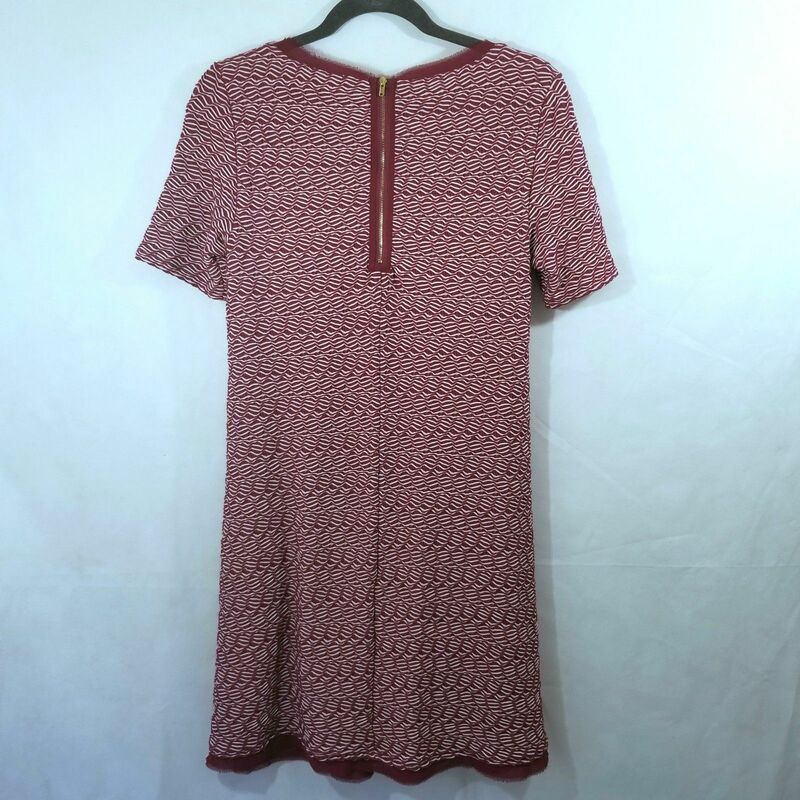 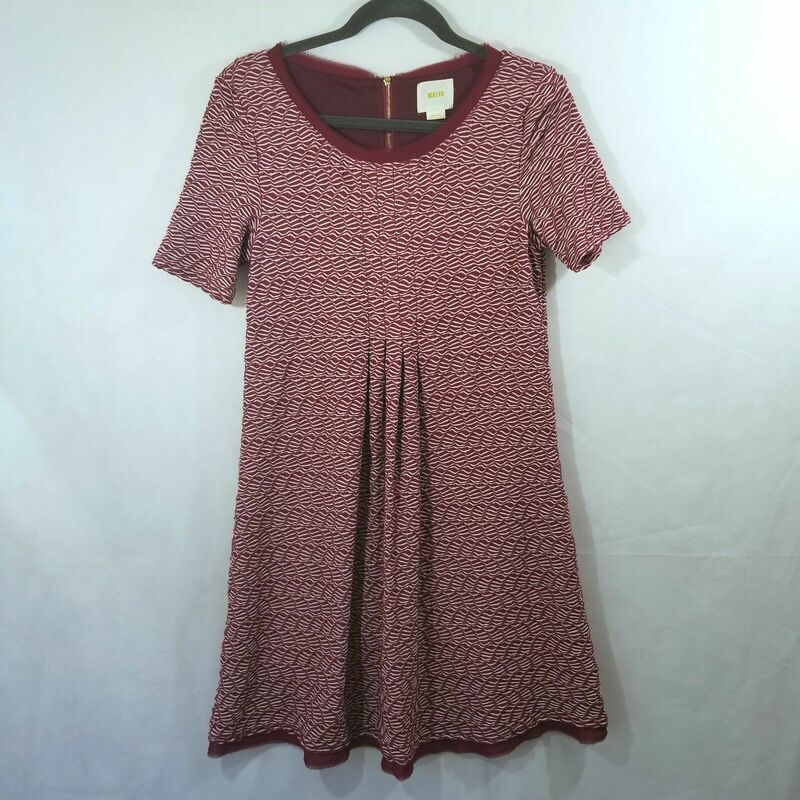 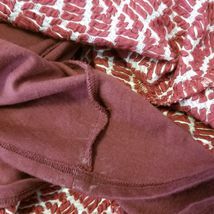 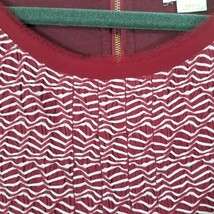 It is a pretty light burgundy color with white pattern. 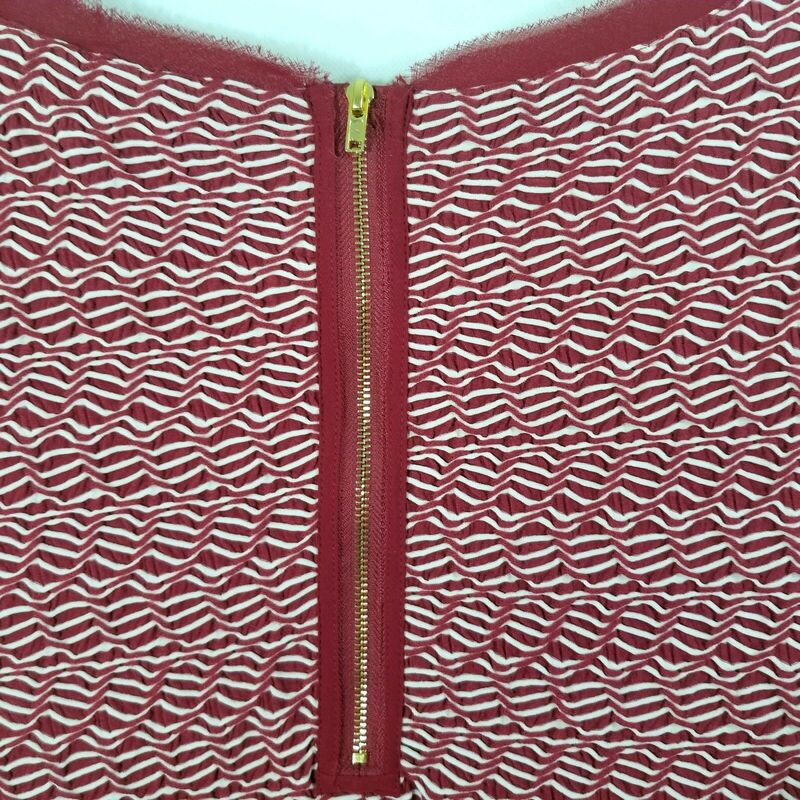 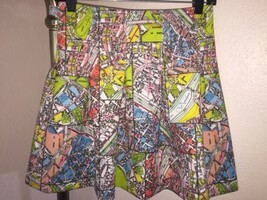 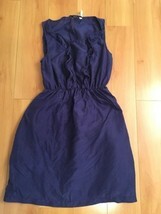 Fully lined (lining has some white spots on it as shown in picture, looks like deodorant) with zipper on back. 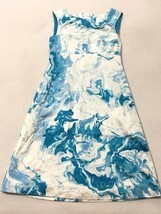 Size: Small Material: Shell-67% rayon, 29% polyester, 4% spandex Lining- 60% cotton, 40% polyester Measurements- All approximate, measured laying flat Shoulder to shoulder: 15 inches Chest: 16 inches Sleeve length: 9 inches Length: 35.5 inches All items come from a smoke-free, pet (cat and dog) friendly home. 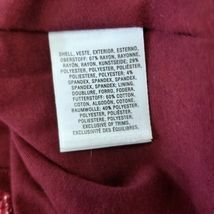 While I do my absolute best to make sure the clothing is free of any animal hair, and any odor or flaws disclosed, I may miss something. 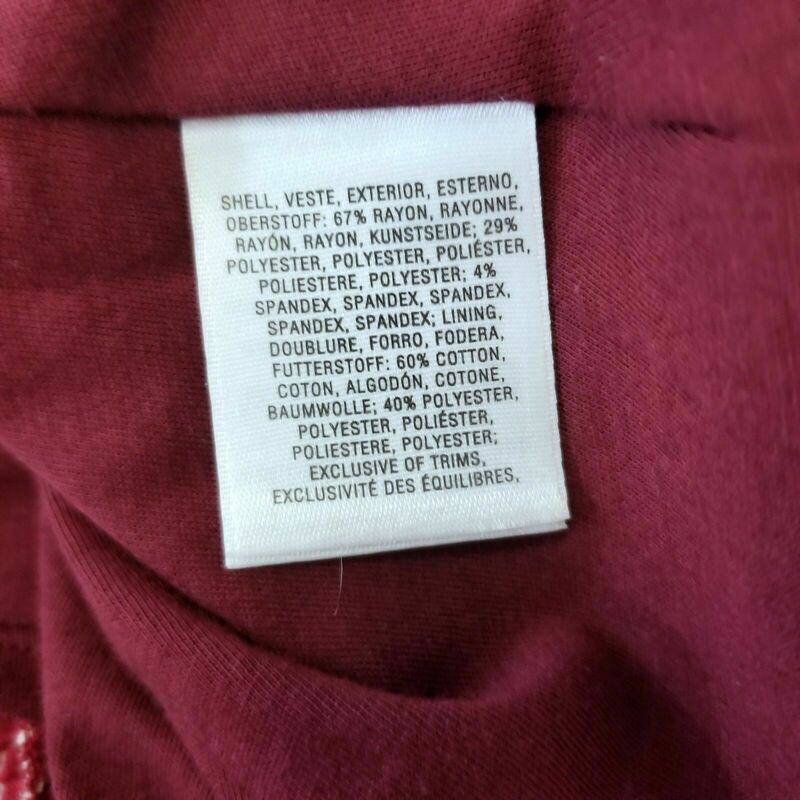 All clothing is pre-worn or used (unless otherwise noted).